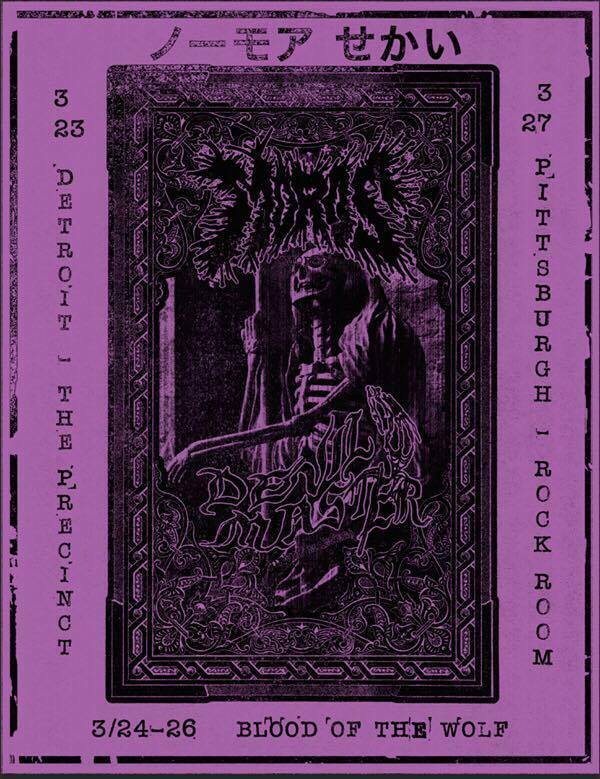 Catch crippling blackened sludge trio MOROS at Blood of The Wolf III Fest this weekend with stops in Detroit and Pittsburgh with Philly brethren, DEVIL MASTER. MOROS head out on the road in support of their recently released, critically acclaimed split album (with Philly doomsters Black Urn). They will have limited edition cassettes for sale on the road.